EL PASO, Texas — Four people who entered the country illegally nearly drowned before being rescued by Border Patrol agents just after midnight Wednesday, reports CBS El Paso affiliate KDBC-TV. 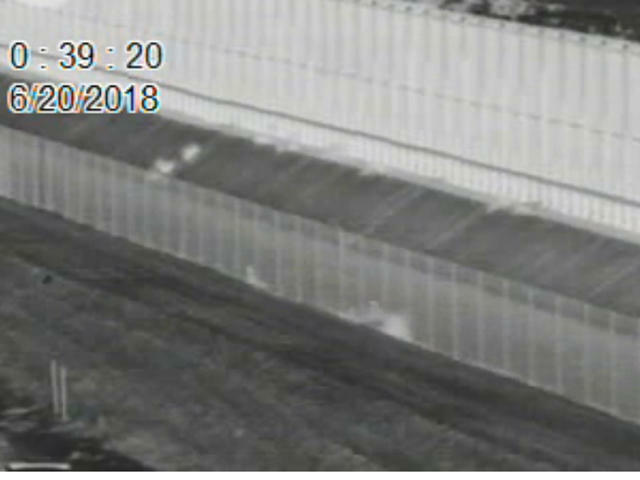 Officials said Border Patrol camera operators spotted a group of seven people illegally cross into the United States near downtown El Paso. The group then went into the American Canal, approximately three miles east of the Bridge of the Americas Port of Entry, the Border Patrol said. The canal system is dangerous because of its strong undercurrents, according to the Border Patrol. Agents responded to the area and saw three people climb out of the south side of the canal and run back into Mexico. The remaining three men and a juvenile struggled to stay afloat, officials said. Agents managed to pull all four from the canal with ropes. None needed medical attention, the Border Patrol said, adding that they "were then taken in to custody to be processed accordingly." All four were from Mexico. "The three adults will be facing criminal prosecution while the juvenile will be repatriated to Mexico with assistance from Mexican Government officials," the Border Patrol said. Officials noted that Border Patrol Agents in the El Paso Sector have rescued 25 immigrants in distress this fiscal year. None died. In fiscal 2017, "Eight illegal crossers have lost their lives in these same treacherous waterways," the patrol said.